The rule of capital and abuses of power persist to this day. They are felt by young workers wherever they are. 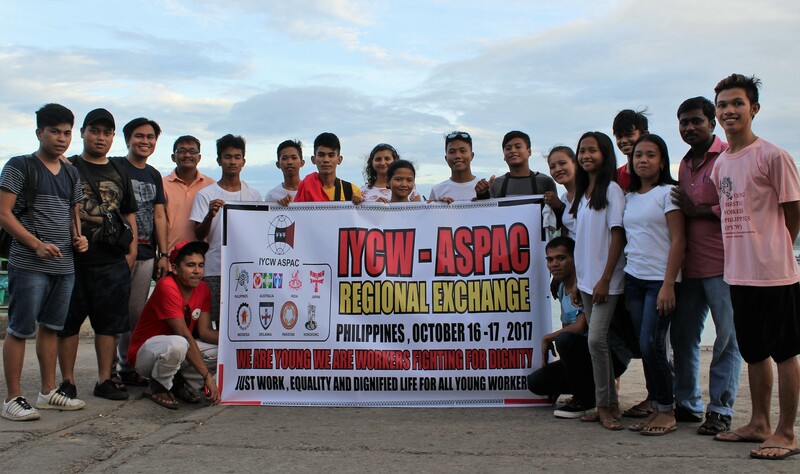 In the spirit of Young Christian Workers’ commitment to end all forms of exploitation and to promote the rights of the young workers, the Asia & Pacific YCW (ASPAC) conducted a seminar on Social Protection for young workers. With this seminar, ASPAC aimed to gain an understanding on how young people view Social Protection in general and its existence in their respective countries. Market liberalization, deregulation and privatization or simply the neoliberal policies have led to the loss of livelihoods and means of survival and further exploitation of workers. In Asia, most people continue to experience social insecurity, increasing poverty, vulnerability, widening inequality and the life-threatening impact of severe environmental degradation. Almost 60% of the workforce in Asia are in the informal economy, enduring precarious working and living conditions. Workers in the formal sector receive measly wages in unacceptable working environments while being deprived of labor rights such as security of tenure and the right to organize. Discrimination based on gender, sexual orientation, age, race, is still rampant. Migrant workers suffer these same disgusting realities, being unable to access even limited social protection programs available both in their countries of origin and destination. Because of forced migration and Labor Export Policies, migrants are trapped in the vicious cycle of migration wherein migrant workers and their families face many problems and difficulties. Neoliberal globalization in the health sector translated into injustices like budget cuts in public expenditure for health care, dismantling of public health infrastructures through decentralization, privatization of health care services, full mobility of health professionals and health equipment and more expensive medicines. Young workers in Asia are most affected by jobless growth or unemployment, high poverty incidence and vulnerable employment. The seminar ended with the commitment of all those present to further advance the cause of transformative and inclusive social protection for all and to continue to organize and mobilize young workers to raise awareness and act together to change this situation. Contractual work and informal work are the two target sectors of action for YCW Philippines. A Regional Leaders’ Exchange took place in Valenzuela with groups of contractual workers, and in Camarines with young miners, farmers and fishermen. The two groups of leaders traveled to these locations. 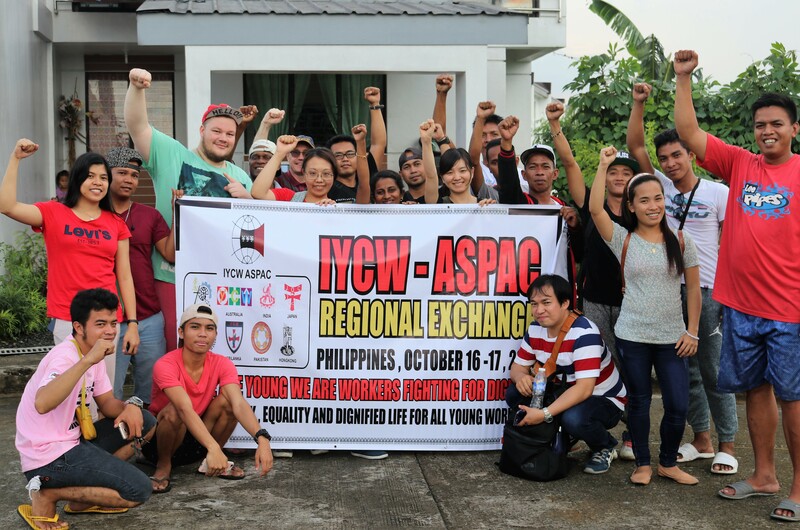 In Valenzuela City, the exchanges started through a sharing of experiences between young contractual workers and the leaders of the YCW national movements of Japan, Indonesia and Malaysia. They exchanged information about their realities. The next day, they exchanged their realities with the pedicab base group. They shared the process of action that was taken in this group and their current situation. Then the group carried out a survey with the workers in the community, in particular contractual workers. Everybody loved that experience. In Camarines Norte, the YCW movements of Indonesia, India and Egypt first visited the fishermen group. They saw the vulnerable situation of the fishermen in the fishing port and shared experiences with this group. Then they visited the young miners’ group in Jose Panganiban. 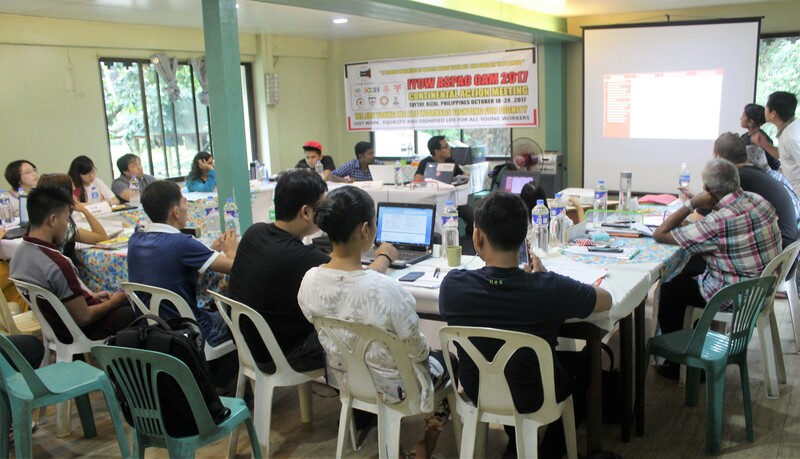 They discussed about the issues affecting the small-scale miners in the community, and the leaders from the other national movements helped this group identify concrete means and strategies to strengthen their actions and achieve their demands. Then they visited a small-scale mining site and saw the process of making gold. It helped the delegates understand the situation of small-scale miners. Finally, they exchanged experiences with the young farmers’ group. They discussed the situation and action of this group and exchanged ideas and recommendations. In the last part of the exchange, the two groups got together in the big plenary room to share the different experiences during the exchanges and they highlighted the use of the methodology to strengthen the actions of these different base groups.